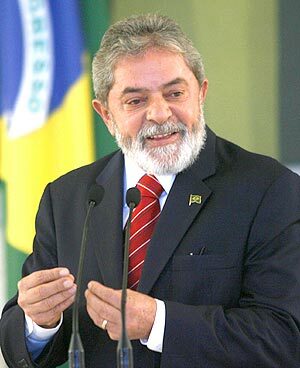 Launched in 2003, as part of the Fome Zero (Zero Hunger) program by the Brazilian President Luiz Inácio Lula da Silva, Bolsa Família (Family Stipend) is seen as the world's leading wealth redistribution system. It is a conditional cash transfer program that has benefited about 46 million poor people in Brazil, almost a quarter of its population. The program provided income supplements to poor families subject to certain conditions such as 85% school attendance for children ages 6-15 and mandatory participation in socio-educational activities after school, 75% attendance for teenagers ages 16-17, vaccinations for children, nutritional monitoring and health education for women. Besides reducing the income inequality, the program provides tremendous support to women. 93% of the program's beneficiaries are women and 27% of those are single mothers. It strengthens their position in their households and communities, gives them more respect and increased influence within their family and has reduced domestic violence. It has also initiated policies for development of labor skills. The Ministry of Labor and Social Development works together with the local governments to link employment and social protection policies to ensure poverty reduction. Bolsa Família gives poor families their first experience with banks, debit cards and credit cards thereby offering them "financial inclusion". These people have access to small business initiatives and financing. Bolsa Família gives children freedom from bonded labor and works in cooperation with the Ministry of Education. It targets households with monthly per capita income lower than US $52. The program offers US $13 per child/pregnant woman and US $19 per teenager (16-17 yrs. old). Extremely poor families receive upto US $79 dollars a month. The government does not put conditions on how the money is to be spent. Enrollment is conducted at the municipal level and families are registered into a unified central database called the Cadastro Único. 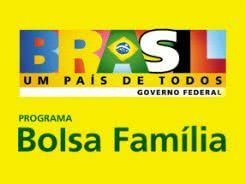 Bolsa Família uses unverified means-testing conducted at the municipal level to select its beneficiaries. Given the programme’s large size, it would be very costly to use verified means-testing or proxy means-testing to identify eligible households. The programme’s unverified selection method has been criticized on the grounds that its highly decentralized process could lead to selection distortions, such as patronage and leakage. The seamstress Cleusa Massafera Smith is a 3204 recipient of the Bolsa Familia in Jacarezinho, in northern Paraná. The federal program of income transfer is aimed at families in poverty and extreme poverty. The problem is that Cleusa is the mother of actress and model Grazielli Massafera, known to participate in the program Big Brother Brazil. First, this money doesn't change miserable people into real citizens! If they were just poor, now they are the ones who receive "alms" from the government. Second, the main criterion to receiving the money is something ridiculous: you just have to send your children to school. if they have attendance, it's ok. They don't need to really learn, just pass. what is not difficult, since teachers can't fail them. What seems to be good is actually malefic, because when these students are aged to get to University, they won't. First, because there won't be Bolsa Familia when they are to enter High School, second because they won't have learned the basics of the subjects. Another criticism is that the program has a rural bias; the urban areas demand a higher cost of living and the stipend is just not adequate to alleviate poverty. No one, however, can dispute that poverty has fallen from 22% of the population to 7% of the population which is a remarkable feat. It costs only about 0.5% of Brazilian GDP and about 2.5% of total government expenditure. Most people use that extra income to buy their children clothes and shoes. That is how it should be. A similar program called Opportunity NYC was a privately funded $63 million initiative, the first of its kind in the United States. The pilot program, however, closed on August 2010. I believe that these ventures must have the backing of the government and must involve several social, educational and economic reforms which are outside the reach of private enterprise.